The MM1-0726HSM is a passive GaAs double balanced MMIC mixer suitable for both up and down-conversion applications. As with all Marki Microwave mixers, it features excellent conversion loss, isolation and spurious performance across a broad bandwidth and in a small form factor. 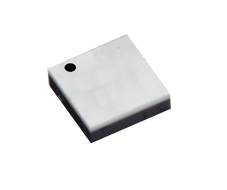 The MM1- 0726HSM is available in a lead-free, RoHS compliant 3mm QFN surface mount package and is compatible with standard leaded and lead-free PCB reflow soldering processes. Owing to its passive balun circuitry, the mixer can be used in two different configurations: Configuration A for highest efficiency and Configuration B for highest linearity. Electrical Specifications - Specifications guaranteed from -55 to +100°C, measured in a 50Ω system. Specifications are shown for Configurations A (B). See page 2 for port locations.